Understanding how to maximise your Qantas Frequent Flyer points is no small feat. We make it simple, by explaining the best (and worst!) ways to spend your points. Let's face it, the Qantas Frequent Flyer program is complex. Purchasing flights or merchandise with points is not always better value than paying with cash, once you factor in high taxes and fees. So, how do you know when it is valuable to purchase with points, and when you're better off paying the retail price instead? When using your points to pay for a flight or a product, you are effectively converting them into cash (Aussie Dollars). You need each point to have a high cash value, so that you can use the least amount of points for each purchase. What does that mean? 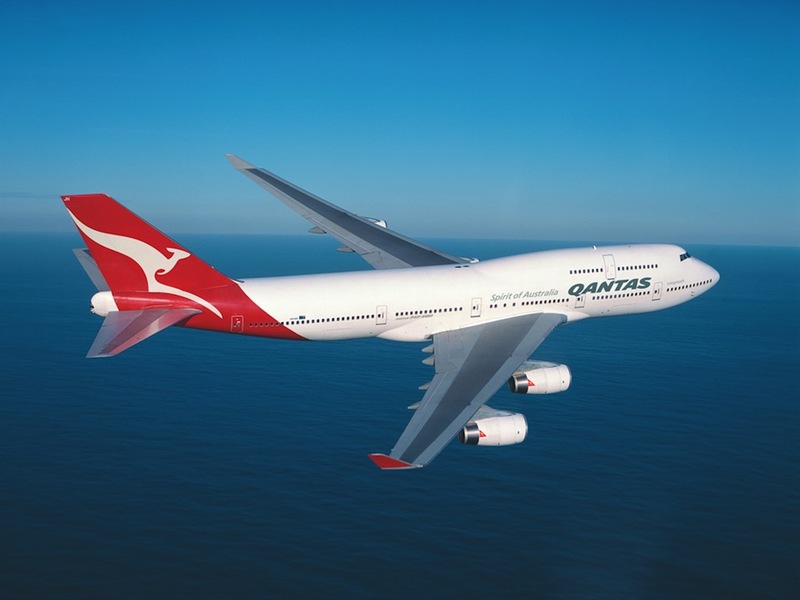 Points are valued in Cents Per Mile (CPM), with a 'mile' referring to a Qantas 'point'. To determine the 'cent' value of each point (i.e. CPM), you need to look at the number of points required to purchase on the Qantas website versus the current AU$ price in the market place. So, when is the CPM value favourable? Tim Winship, of FrequentFlier, estimates a favourable exchange rate to be 1.4 US Cents Per Mile. This is based on the average price for a US domestic flight ($350), versus how many miles you would need to buy the flight with (25,000). Take off a bit, to account for the hassle of using miles, and 1.2 CPM is a good benchmark for US miles redemption. Qantas, on the other hand, charges higher fuel fees than the American airlines (mostly due to a lack of competition), which needs to be factored into our CPM calculations. A short return flight from Sydney to Melbourne or Brisbane to Sydney generally costs AU$ 200 in total, but if you want to pay with your points instead you have to pay the taxes and fees on top. At the Qantas Store 13,500 points can be swapped directly for $100 cash, in the form of a Myer or David Jones Gift Voucher. We've created a simple check that you can do right here. Enter in the total number of Qantas points you currently have and we'll show you the minimum value that you should exchange them at. Using your points for an upgrade yields by far the best points to cash exchange rate. However, actually scoring an upgrade is based on your status level in the Qantas Frequent Flyer program, so it's not quite black and white. If you're a Bronze, Silver or Gold member, the earliest you will know whether your upgrade request has been successful is 24 hours before your flight, and even then, you might not get bumped up until you're at the gate. It basically comes down to how many seats are booked and the status of others on the upgrade register. Purchase a Discount Economy Cash Fare (Red e-Deal) for AU$ 234, then request an upgrade with 16,000 points to go up to Business. The Business Class Fare costs $1,140 and you earn 2,000 points back for purchasing the Economy seat. You're essentially getting a Business class seat that's worth $1,140 for $338 (by valuing your points at 0.74 CPM and adding Discount Economy seat at $234). This works even better if you buy an Economy fare (rather than Discount Economy). These are not the Red e-Deals or Sale fares, they're called Flexi Saver or Fully Flexible on the Qantas site. You pay more in cash for this type of fare, but you don't have to use as many points, so the ones you do use you're exchanging at a more favourable rate. Again, upgrades are allocated based on the number of seats available and your status. A Red e-Deal is currently showing $2,556, but before purchasing, read the fine print in the Fare Type to make sure your seat can be upgraded (Sale and some Red e-Deals are not eligible). For a Red e-Deal (aka Discount Economy) you need 144,000 points to upgrade to Business, but you also earn 14,982 back when you fly (even more if you have Silver, Gold or Platinum status). The Business Class Fare (on Sale) costs $7,406. It's better if you buy a Premium Economy seat and upgrade to Business with points. Even better is if you're willing to fork out the cost of a Business Class seat and upgrade with points to First Class. After upgrades, the next best use of your Qantas points is to purchase a Business Classic Award, for either an international or domestic flight. Search the Qantas site for an available Business 'Classic Award'. These are pretty easy to find for domestic trips. It will cost you 32,000 points and $70 in taxes and fees (it works out better to pay taxes and fees in cash, not in points). However for these Classic Awards, you don't earn any points so we can include this in the calculation as your points foregone. It costs a whopping 192,000 points to redeem a Business Classic Award on the popular SYD-LAX route and to return. A quick comparison with American Airlines for this exact same route: it only costs 125,000 points and roughly AU$ 140 in taxes and fees! Is it time to switch programs...? You can see there is a large value gap between using points to upgrade, and exchanging them directly for cash (such as for the $1,000 Gift Voucher). My recommendation to you is to avoid the Qantas Store. The exchange rate is terrible, 99% of the time. There are some outliers, the 'Special Offers', where the points have been slashed significantly, but these are few and far between and won't give the same level of CPM as flights. You may not have any desire to fly business, even if it makes your points worth more. You may wish to use points on economy flights instead. Be warned though, the CPM value is likely to be low. For this reason, Economy sale prices are often far better value. Using points is only worthwhile if current fare prices are high (last minute, for example). Let's get technical and subjective at the same time. We're going to value our points according to what we think something is worth (completely disregarding market prices). Let's be honest, I simply would not pay $1,140 to fly Business domestically, let alone $7,406 for international. Would you? To understand the real value of your points, you need to understand what you would be willing to pay for something, regardless of market prices. What amount of money would you realistically pay to fly Business Class? Double the Economy fare? Somewhere close to that? And what about First-Class? The Economy sale fare is $234, and I'd pay roughly double to fly Business = $470. My points are valued more than my benchmark of 0.74 CPM, which means the value is good. Not as good as it was when I considered paying $1,140 for Business Class (4.6 CPM), but we're in the black. I would pay less than double the Economy sale fare ($1,498) to fly in Business, at a limit of around $2,500. The CPM is just equal to the benchmark, but far below the 3.04 CPM I received when I valued flying Business Class at $7,406. The Economy sale fare is $1,498. I would pay double to be wined and dined in First. The CPM is way less than the benchmark. Poor value for me and but far below the 5.18 CPM value I got when accepting a First-Class fare is worth $17, 356). Am I being unfairly harsh on the Qantas Frequent Flyer Program? Is the value I place on premium class travel unrealistic? Who am I to bargain for Business Class and First class fares? It’s not the local bazaar, after all. The thing is, I know it's possible to fly within my preferred budgets - just not with Qantas. I want an airline loyalty program that gives my points a worthwhile value, a reason to remain "loyal". For Australian flights, I'll consider using my Qantas points for business class travel, and last minute economy flights ()where a sale fare is not available). But I'm now going to research other airline programs where my loyalty is worth more (American Airlines' AAdvantage and Virgin Australia's Velocity spring to mind). If you can't make sense of all these numbers and calculations, or you simply can't be bothered with it all, then there is another way. We've gathered hundreds of experienced travel agents and frequent flyers to do the work for you. By launching a contest on Fightfox, they'll tell you how to get the most value from your points (Qantas or any other loyalty program too).